CD 168 HEMINGRAY // D-510, Bright Carnival; great color! 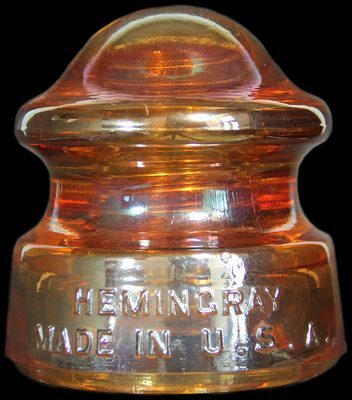 Lot 68: CD 168 HEMINGRAY // D-510 Color: Bright Carnival Description: Excellent condition. This example has very good color, with strong iridescence. A great example of Hemingray's carnival period!